Tina's Creative Studio: New Catalogue Available! 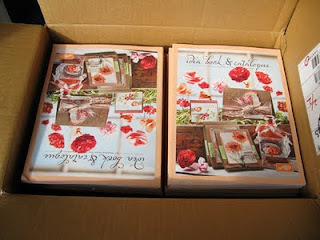 The new Stampin Up Idea Book and Catalogue for 2011-2012 is now available. 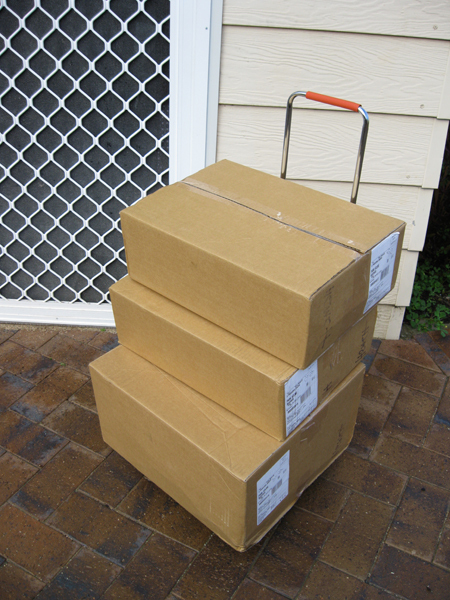 Look at the boxes just outside my studio - containing catalogues and my pre-order of new products. If you would like a catalogue you can pick one up from me. They normally sell for $10, but ask me how you can get one for free! 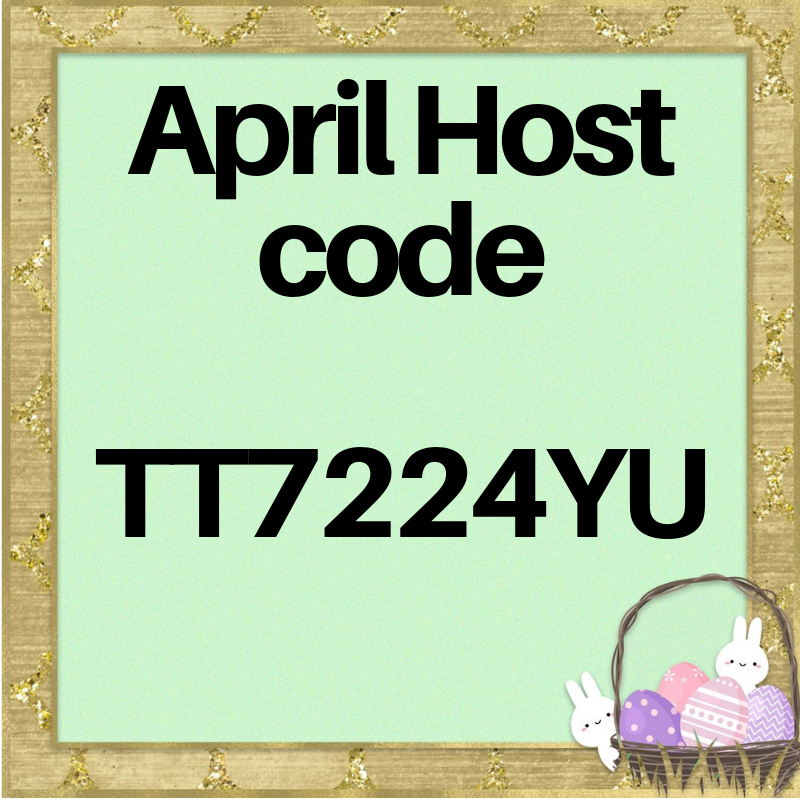 Have you signed up for my Mailing List yet? Sense of Time - Time is Running Out! Black Magic or Chalk Board?